NEW RELEASE!! 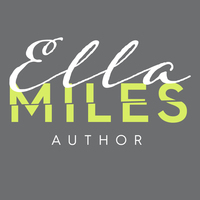 Dirty: The Complete Series by Ella Miles! Previous✰✰ NEW RELEASE + KINDLE UNLIMITED ✰✰ Enjoy the Ride (A Winter Games Novel) by Dr. Rebecca Sharp is LIVE!! Next✸ AVAILABLE NOW + KINDLE UNLIMITED✸ Christmas Wish (Insurgents MC) by Chiah Wilder is available now! !